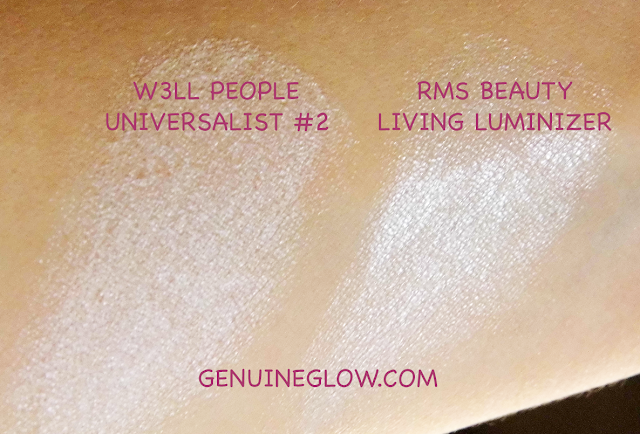 As I wrote in my previous post about W3LL PEOPLE, together with my beautiful lip shine, they sent me a sample of their popular highlighter, the Universalist Luminous Multi Use Stick in #2. I thought it could be helpful to swatch it and compare it to the RMS Beauty Living Luminizer. When swatched, both products seem to give a white/pearl color, but when looking in the package, the Universalist Stick looks like a warmer color with silver shimmer. On the other hand, the Living Luminizer is clear with a pearl finish. The W3LL PEOPLE Universalist Stick comes in a tube and the consistency is more like a thick balm than a creamy gel. It has a cream-to-powder consistency (because it contains silica). It definitely has a drier consistency when compared to the RMS Living Luminizer, but not dry and chalky. 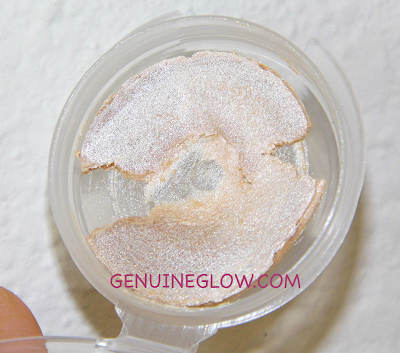 It is soft and creamy, but less glossy than the Luminizer. $38 - RMS Beauty Living Luminizer can be purchased at Amazon here or at Dermstore via the banner below. 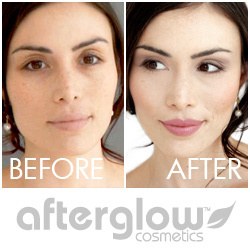 Although these two products may seem very similar when swatched, they are quite different. 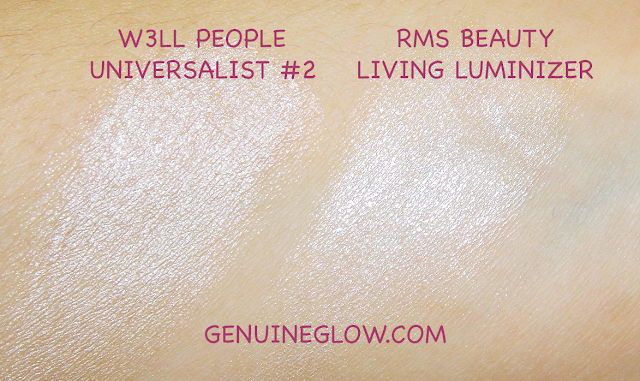 My highlighter of choice is still the RMS Living Luminizer, because I adore the pearly, glossy effect that it gives to my cheekbones, therefore I am probably going to use the Universalist #2 sample in a different way. Most likely to highlight the bridge of my nose, which tends to get very oily throughout the day. I think that they are both lovely products and are made by two awesome companies. I would recommend both depending on your personal preference of shade and finish. I would probably recommend the Universalist Stick to those who do not do well with coconut oil and are particularly oily. I have read of some people getting milia from using coconut oil on their skin. 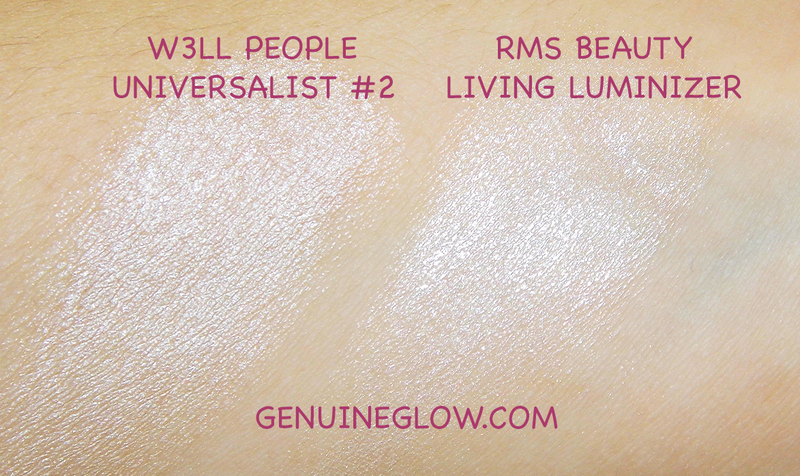 As for me, I am still very much in love with my RMS Beauty Living Luminizer because if I go for a highlighted skin look, I want that shiny glow on my face. Let me know if you use one of these two or a different highlighter altogether in the comments below!